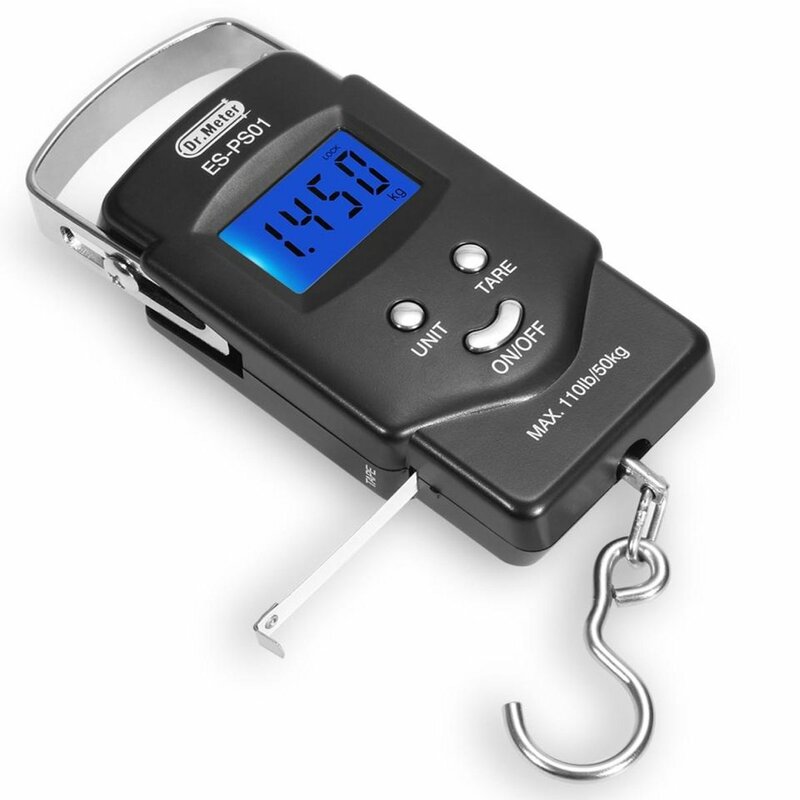 Home › Electronics › [Backlit Lcd Display]Dr.Meter Es-Ps01 110Lb/50Kg Electronic Balance Digital F..
[Backlit Lcd Display]Dr.Meter Es-Ps01 110Lb/50Kg Electronic Balance Digital F..
Dr.Meter - Sky of Electronics Comes with a big digital LCD display, this electronic hanging scale is preciseweighing tool for home, expressage as well as a great assistant for outdoorsports such as traveling, shopping, fishing etc. which specially designed withfunctions of tape, tare/zero, auto off, unit conversion, data lock and thelike. Specifications - Weight range / Graduation: 110lb/50kg; 0~10kg: d=5g, 10-50kg: d=10g - Weight unit: kg, lb, oz - Length range / unit: 1m; cm, in, ft - Power: 2 x AAA battery(included) - Blue LCD backlight, easy to read value at day and night Product Weight / Dimension - 200g(7.05oz) / 1408833mm (5.513.461.30inch) Warranty Info. - A full 12-month warranty against manufacturing defects starting from the purchase date.